Although one must be careful. This gentleman, my GGG-Grandfather, was actually born in 1774; whoever had the stone made obviously thought, “Ooh, wouldn’t it be cool if we said he was born in the year of independence!” And so it was written, and so it was done. Still, graveyards have given me much information and many leads that I otherwise would not have had. 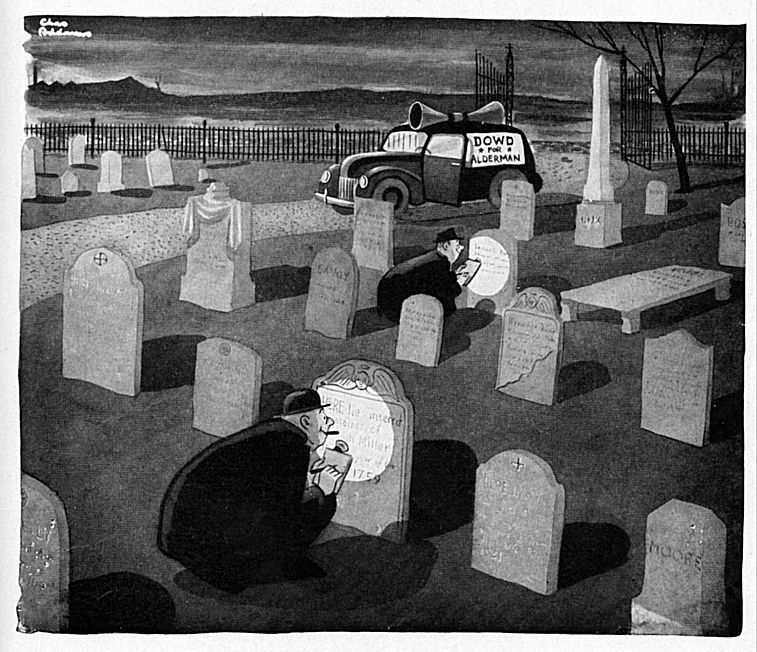 Having spent many, many hours haunting various cemeteries in my home town and during my travels around the country, I came to appreciate them as places of peace and contemplation, and sometimes great poignancy. 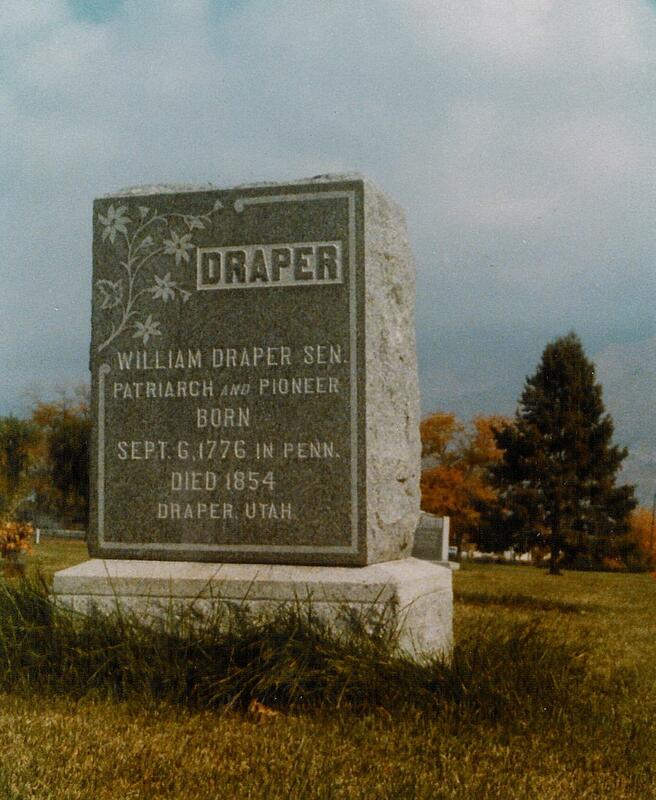 This one, located in the Salt Lake City cemetery, makes me mist up every time I see it. 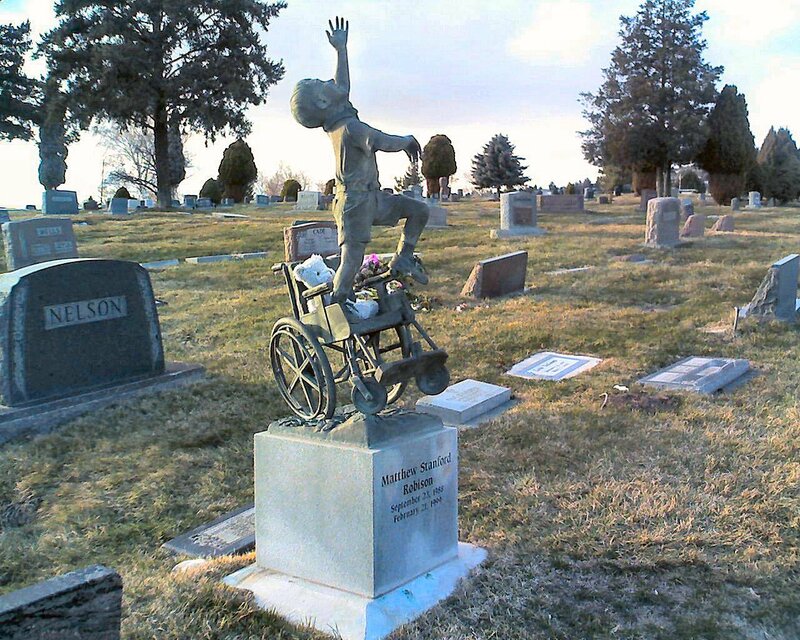 People or their families choose to create memorials in many different ways – just Google the images section for “unusual grave markers” for a selection. Some are bizarre, others frightfully clever. Today on reddit, I saw another monument posted; it captured my heart immediately. “It’s a musical staff with a semibreve (the center bar) indicating a rest or pause in the music. The fermata (the half circle + dot at the top) indicates to hold the note (in this case the rest) as long as desired. The note should then be performed fortississimo (the three f’s at the bottom), meaning it should be performed extremely loudly/strongly. Now that is resting in peace. 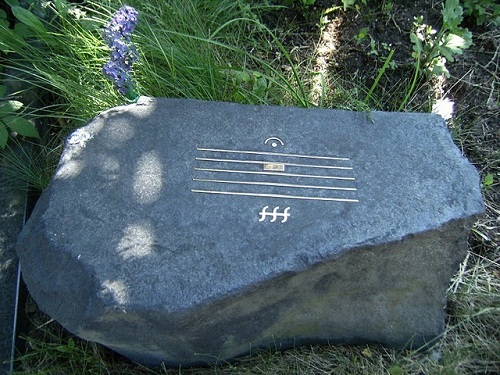 This entry was posted in Items of interest, Music and tagged graveyards, monuments. Bookmark the permalink.